The objective of teeth cleaning (Scaling and polishing) is to remove not just cosmetic teeth stains, but tartar (plaque) that can potentially cause shaky teeth and tooth loss. Plaque/Calculus can cause gums to become red, swollen and bleed easily. This eventually leads to shaky teeth and teeth loss. Dental care can prevent gums from reaching this stage. 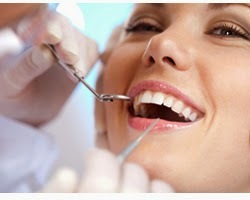 Periodontal Scaling is also known as ‘Teeth Cleaning’ and it is quite safe. The process of scaling and Polishing, is to remove or eliminate the causative (Calculus) agents which cause inflammation. It is advised to perform it as a routine procedure at least once a year. Periodontal scaling is quite beneficial for treating mild gingivitis when it is in the early stages. Some times Deep Scaling is adviced which is nothing but eliminating the calculus deposits from under the gums.